The Slough Arm of the Grand Union Canal is an unexpectedly green and rural bit of canal, passing through the pretty town of Iver. 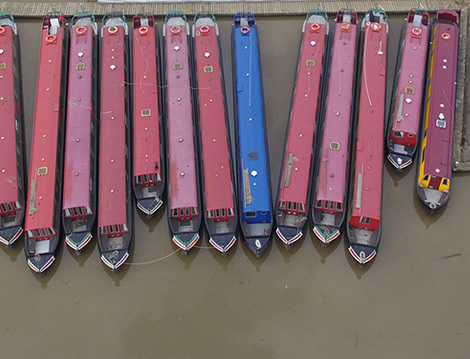 From our base on the Slough Arm of the Grand Union Canal, you can cruise to Little Venice, in central London, within a day and without passing through a lock! From there you can continue through the Maida Vale and Kings Cross Tunnels on the Regent's Canal before heading towards Stratford, the Olympic Park and the River Lee. 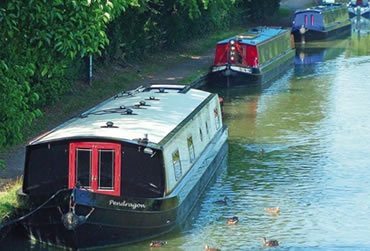 Alternatively, you can head north through Uxbridge and out into the beautiful Hertfordshire countryside, passing through the locks at Harefield and on towards the historic town of Berkhampstead. LONDON- London's Little Venice is a tranquil canal area, home to waterside cafes and pubs. Enjoy a stroll along pretty streets and take a relaxing boat trip to London Zoo or visit some of the most interesting theatre venues in London. Madame Tussauds is not far away and the Planetarium, Regents Park, also the British Museum. Kew Gardens- Explore this World heritage site and stroll through the 130 hectares pf landscapes and gardens. WINDSOR- The main street of Windsor curves around the castle and is full of pubs, shops, restaurants and souvenir shops. Windsor castle is the largest inhabited castle in the World, established by William the Conqueror during the 1070's the present castle was started by Henry II during 1165-1179. It has been meticulously restored after the disastrous fire in 1992, and includes: Magnificent State Apartments furnished with treasures from the Royal Collection • St George's Chapel (one of the most beautiful ecclesiastical buildings in England and the burial place of 10 monarchs) • Queen Mary's Dolls House, a masterpiece in miniature • The Drawings Gallery featuring an exhibition (see below for current display). Hampton Court Palace-Explore Henry V111's majestic palace including his magnificent state apartments and Tudor kitchen, the haunted gallery , the Baroque Palace, and the beautiful gardens and famous maze. LEGOLAND Windsor is a theme park dedicated to children aged 3-12 years old. An inspirational land where the kids are the hero. It's a family attraction like no other - where the fun never stops and imagination knows no bounds. With over 55 interactive rides, live shows, building workshops, driving schools and attractions, all set in 150 acres of beautiful parkland, LEGOLAND Windsor is a unique family theme park. 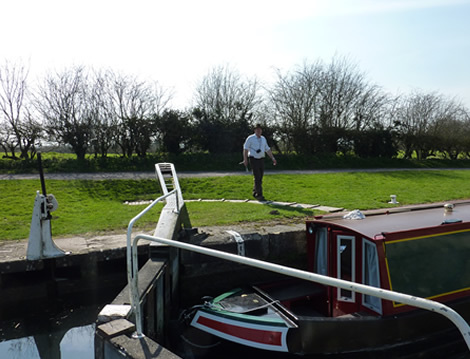 By Road : Moored at High-Line Yachting Boatyard, Iver, Berkshire, Pendragon is located just a few minutes walk from Langley station and is also easily reached from Heathrow or the M25/M4. Free parking is available in the boatyard's secure carpark. Pendragon is moored 10 minutes walk along the towpath. In order to drop your bags off, we suggest we meet you at Langley Station car-park. From London; Take the M4 westbound exiting at Junction 5. Take the fourth exit onto London Road towards Slough and Langley. At the traffic lights by the Toby Carvery, turn right onto Langley High Street. Continue over three sets of traffic lights until you arrive at the roundabout with East Berkshire College in front of you and shops on your right. Turn right and continue 300m, passing under the railway bridge and turning right at the traffic lights. Then turn right into Langley Station Carpark. By Rail : From London: Trains depart from Paddington every 30 minutes towards Slough. Trains to Reading, Oxford and Didcot also stop at Langley throughout the day. From Heathrow: Terminals 2, 3, or 4 Rail stations, take the train to Paddington and change at Hays & Harlington (10 minutes), then take the train to Langley (11 minutes). Check train times on the www.nationalrail.co.uk website. By Air : Heathrow Airport is very close to the marina, about 6 miles or 15 minutes by taxi. Groceries : There are various supermarkets in Slough just a few minutes from the Marina by car.